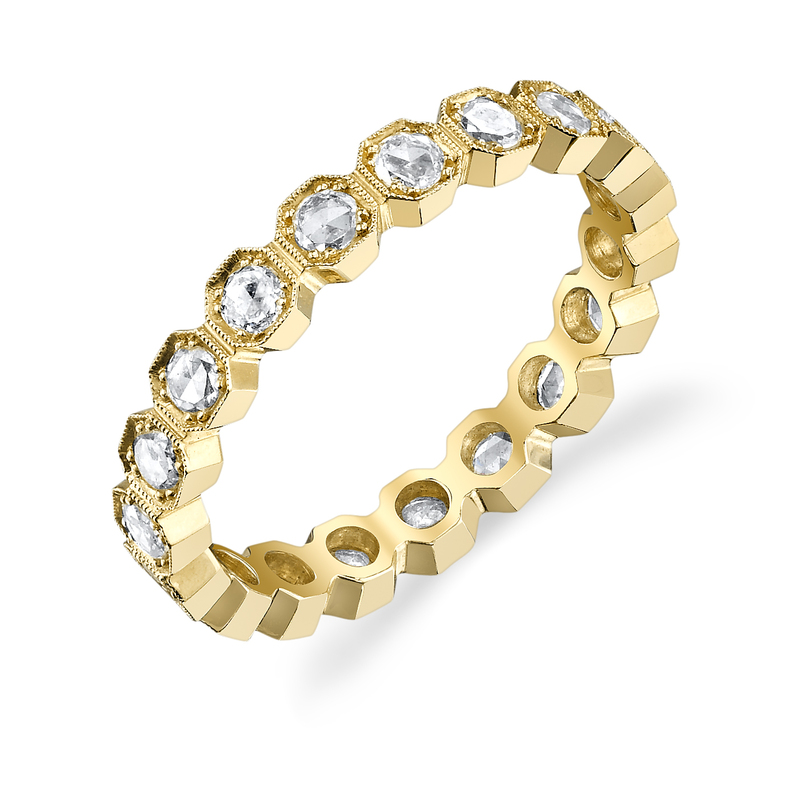 18k matte yellow gold eternity ring with over half a carat of round rose-cut diamonds individually set in hexagonal bezels with anchor prongs and milgrain edges. Please note that price and carat weight are for this stock band in size 6 1/4. Please contact our concierge for pricing and carat weight in other sizes.